They say Virginia is for lovers and one thing Kyle Busch would love to do is win his third straight race at Richmond Raceway this Saturday (April 12, 7:30 p.m. ET on FOX, MRN and SiriusXM NASCAR Radio). The current Monster Energy NASCAR Cup Series points leader and winner of three races already this season (including last weekend’s battle at Bristol) is looking to do what was last accomplished in the early 1980s by Bobby Allison – win three consecutive races at the 3/4-mile track. Only three drivers have won three or more in a row at Richmond – all NASCAR Hall of Famers – David Pearson (three, 1965-66), Richard Petty (seven, 1970-1973) and Allison (three, 1982-83). And in the last 20 years, only one other driver has even won back-to-back races – Jimmie Johnson in a sweep of the 2007 season races. It will be hard to bet against Busch achieving that mark of three straight this weekend. The Las Vegas native remains the lone Monster Energy Series driver to finish in the top 10 in each race this season. And last year the driver of the No. 18 Joe Gibbs Racing Toyota Camry also won Bristol the weekend before the Toyota Owners 400. Overall, Busch has six Richmond Cup wins in 27 starts – along with 17 top-five and 20 top-10 finishes. And even if he doesn’t visit Victory Lane on Saturday, he still stands a good shot at extending his top-10 streak to 11 races as he has an average finish of 6.9 at Richmond. After posting eight wins in 2018, Kevin Harvick is winless thus far in 2019 and has to be missing the sweet sound of confetti cannons in Victory Lane. Despite failing to post a win through the opening eight races, the 2014 Monster Energy Series champ has six top 10s (Daytona and Bristol being the lone exceptions) and three top fives. And a fun fact there – all of those top fives were fourth-place finishes for the driver of the No. 4 Stewart Haas Racing Ford Mustang. But could Richmond be the place that puts Harvick back on top? He has three wins at the track and finished in the top five in both races last season. Overall in 36 starts at Richmond, Harvick has 14 top-five and 23 top-10 finishes. He’s completed over 99% of the laps in those races, led 1,109 laps (fourth on his career tally list: Phoenix – 1,595, Dover – 1,442, Atlanta – 1,197) and has yet to post a DNF at the 0.75-mile track. However, it’s been five years since his last win at Richmond Raceway – which came in the spring race in 2013 while he was still with Richard Childress Racing. But in the 10 races at Richmond since joining Stewart-Haas, Harvick has been amazingly consistent – posting seven top fives and recording a worst finish of 15th. So, could this be the track that puts Harvick back on top? Survey says…possibly! The last time a winner of a Richmond Raceway Monster Energy NASCAR Cup Series contest went on to win the year-end title was 2008. And in fact, that same driver achieved the same feat in 2007. The driver? Jimmie Johnson. After posting his second top-10 finish in a row, and fourth of the season, last weekend at Bristol, the driver of the No. 48 Hendrick Motorsports Chevrolet Camaro ZL1 is hoping this positive trend continues as he hopes to end a nearly two-year winless streak…and potentially march towards a record-setting eighth championship. The last time Johnson visited Victory Lane was in June of 2017 at Dover. Through eight races last year, he had two top 10s and an average finish of 19.12. This year, he has an average finish of 14.5 to accompany his four top 10s. There’s reason to have optimism that Johnson can post a solid finish or even reach Victory Lane at Richmond this weekend. He has three wins, seven top-five and 15 top-10 finishes and has finished all but one race in 34 starts. And he has top-10 finishes in seven of the past nine races at the track – including a sixth-place result in this race last season. Nobody has dominated the Monster Energy Series this season like the Fords of Team Penske and the Toyotas of Joe Gibbs Racing. The organizations have shut all other teams out of Victory Lane in Penske’s Joey Logano (Las Vegas) and Brad Keselowski (Atlanta, Martinsville) have captured three races while JGR’s Denny Hamlin (Daytona, Texas) and Kyle Busch (ISM Raceway, Auto Club, Texas) have combined for the other five wins. And there’s no reason to think that trend couldn’t continue this weekend. The dynamic duo has combined to win eight of the last 10 races at Richmond Raceway. Kyle Busch – The leader among active drivers with six wins at the track (double that of the next closest competitors), he also has 17 top-five and 20 top-10 finishes in 27 starts. Denny Hamlin – The Virginia native has three wins at his home track along with 11 top-five and 15 top-10 finishes in 25 starts. Martin Truex Jr. – The first-year Joe Gibbs Racing driver has yet to win in 26 starts at Richmond, and has three top fives and nine top 10s. Erik Jones – The JGR driver with the least experience at the track has one top-10 finish in four starts. Joey Logano – The reigning Monster Energy Series champion leads the team with two wins at Richmond, along with eight top-five and 11 top-10 finishes in 20 starts. Brad Keselowski – The 2012 series champion has recorded a win in 19 starts and has tallied four top fives and nine top 10s. Richmond will be Keselowski’s 350th career Monster Energy Series start. Ryan Blaney – The most junior member of the team has yet to post a top 10 in six starts at Richmond. If there’s a team who might feel optimistic about their chances of breaking up the pair of dominating forces on the winners’ list this year it could be Chip Ganassi Racing. Richmond in that 10-race stretch was Kurt Busch (then with Stewart Haas Racing but now teamed up with Larson at CGR) in the spring of 2015. Busch’s 2019 has started off strong. Through the opening eight races, he has three top-five and six top-10 finishes – including a runner-up to his little brother Kyle last weekend at Bristol. And he currently sits eighth in points. Overall, he has a pair of wins at Richmond, along with seven top-five and 15 top-10 finishes in 36 starts. Larson has only recorded two top-10s this season and sits an uncharacteristic 14th in points. In 10 starts at Richmond, he has the win from 2017, two top fives (including a runner-up finish in the fall of 2016) and four top 10s. FOX, MRN and SiriusXM NASCAR Radio. in 2019. Currently sixth in points, he has four top fives and four top 10s so far this season along with a Busch Pole and a season-best finish of third at Phoenix. Chris Buescher – Racing with a full-time teammate (Ryan Preece) for the first time at JTG Daugherty Racing is the driver of the No. 37 Chevrolet Camaro ZL1. Buescher is currently 23rd in points and recorded a ninth-place finish at Atlanta earlier this season. He, like Blaney, has six starts at Richmond without a top 10. Martin Truex Jr. – The driver of the No. 19 Joe Gibbs Racing Toyota Camry is still chasing his first win of the season – and his first win at Richmond Raceway. He does have three top fives and nine top 10s in 26 starts at the 0.75-mile venue. Overall this season he is seventh in points with two top fives and five top 10s. Aric Almirola – Almirola’s streak of six top-10 finishes came to an abrupt end last weekend in Bristol after getting caught up in an early-race incident. Besides last week, the driver of the No. 10 Stewart-Haas Racing Ford Mustang is having a fantastic start to the year. In 14 starts at Richmond, he has two top fives and five top 10s, including placing fifth here last fall. William Byron – The second-year Hendrick Motorsports driver who pilots the No. 24 Chevrolet Camaro ZL1 has just two starts at Richmond and is still looking for his first top 10 there. Byron is currently 20th in the points standings and has a season-best finish of sixth at Texas for his lone top 10 of the year. Paul Menard – Legendary Virginia-based Wood Brothers Racing is hoping the driver of the No. 21 Ford Mustang can net the team their 100th Monster Energy Series win in their home state. His best finish of the season came last weekend at Bristol (sixth). In 24 starts at Richmond, he has one top 10 – a fifth-place result in the fall of 2013. This season’s Dash 4 Cash program continues to produce lots of heightened action for the NASCAR Xfinity Series championship contenders. First at Texas Motor Speedway two races ago, Michael Annett, Tyler Reddick, Christopher Bell and Chase Briscoe all qualified for the first round of the Dash 4 Cash at Bristol. Then last weekend, Christopher Bell won the first of four Dash 4 Cash $100,000 bonus checks with his victory at Bristol Motor Speedway. Bell not only grabbed the checkered flag at Bristol, the spoils of Victory Lane and the big check, but he also qualified himself for this weekend’s Dash 4 Cash at Richmond Raceway. 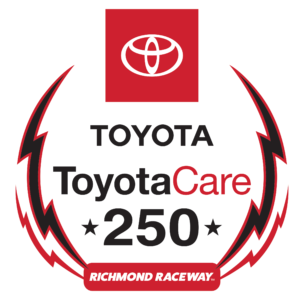 Joe Gibbs Racing’s Christopher Bell, Richard Childress Racing’s Tyler Reddick, Stewart-Haas Racing teammates Cole Custer and Chase Briscoe are this weekend’s Dash 4 Cash qualifiers in Friday night’s ToyotaCare 250 at Richmond Raceway (April 12 at 7 p.m. ET on FS1, MRN and SiriusXM NASCAR Radio). Ø The top four NASCAR Xfinity Series championship contending drivers at Texas Motor Speedway qualified for the first Dash 4 Cash event at Bristol Motor Speedway. Ø The next three highest-finishing NASCAR Xfinity Series championship contending drivers, for four total competitors, will join the previous Dash 4 Cash winner to compete for the next week’s event. Christopher Bell is looking to become the ninth driver in NASCAR Xfinity Series history to win more than one Dash 4 Cash in a single season; joining Brad Keselowski (2009), Reed Sorenson (2011), Elliott Sadler (2012 and 2018), Austin Dillon (2013), Regan Smith (2015), Daniel Suarez (2015) Erik Jones (2016) and Justin Allgaier (2017) with two Dash 4 Cash wins each per season. Bell swept both Richmond races in 2018. He has made three series starts at Richmond posting two wins, three top 10s and an average finish of 2.7. 2018 Xfinity champ and current points leader, Tyler Reddick, is ready to cash one of those big bonus checks. In three starts at Richmond he has put up one top 10 and an average finish of 11.7. Cole Custer came close to cashing in on last weekend’s Dash 4 Cash check, finishing third at Bristol, just behind race winner Christopher Bell. This weekend, Custer will have another shot at the big payday at 0.75-mile Richmond Raceway, a track where he has made five starts, posting two top 10s and an average finish of 10.8. A $100,00 bonus is big chunk of change for any of the drivers this weekend at Richmond, but especially so for Sunoco Rookie of the Year candidate Chase Briscoe. The youngster from Indiana will get his second chance at the bonus as he finished a strong fourth last weekend at Bristol to qualify for this weekend. Briscoe has found his footing early this season, as he is on a streak of five top-10 finishes dating back to Las Vegas. He made his series debut at Richmond last season driving for Roush Fenway Racing, starting 15th and finishing 26th. Joe Gibbs Racing’s Christopher Bell will be making his 49th NASCAR Xfinity Series career start this weekend at Richmond Raceway, and with how his career has skyrocketed it should be no surprise his name is being mentioned with some of the all-time greats of the series. Last season, Bell set the Sunoco Rookie single season record for wins with seven victories, surpassing previous rookie record holders Greg Biffle (2002), Kyle Busch (2004) and Carl Edwards (2005) with five wins each. This past weekend at Bristol, Christopher Bell won his 10th NASCAR Xfinity Series race in his 48th career start – a winning percentage of 20.83%. How impressive is that? Well, only four other drivers in series history have recorded 10 or more wins in their first 48 Xfinity Series starts – Darrell Waltrip (12 wins), Dale Earnhardt (11 wins), Harry Gant (10 wins) and Jack Ingram (10 wins). Last weekend’s performance was also Bell’s 25th Xfinity career top-five finish, making him one of seven drivers all-time to post 25 or more top fives in their first 48 races, joining Jack Ingram (34 top fives), Sam Ard (29), Darrell Waltrip (28), Brett Bodine (26), Geoff Bodine (26), and Dale Earnhardt (25). Bell heads to Richmond this weekend to add to his already fast start to 2019. Bell swept both Richmond races in 2018; including the fall race from the pole. He has made three series starts at the 0.75-mile circuit, posting two wins, three top 10s and an average finish of 2.7. Richmond Raceway is tied with Dover International Speedway for hosting the third-most (70) NASCAR Xfinity Series races in series history. The first Xfinity Series race held at Richmond Raceway was on February 20, 1982 and the event was won by Tommy Houston driving for car owner Mike Day (Pontiac). The series has competed at Richmond Raceway three times the first season (1982) and then twice a season since 1983. In total, 484 different NASCAR Xfinity Series drivers have made starts at Richmond Raceway, and 336 drivers have competed in more than one. Kenny Wallace leads the series in starts at Richmond Raceway with 36. In total, the NASCAR Xfinity Series has seen 38 different drivers win the pole award at Richmond Raceway; led by Kyle Busch with six poles (2004 ,2007, 2010, 2014, 2015 and 2017). Geoff Bodine won the series’ first pole (96.207 mph) at Richmond Raceway in 1982 and Christopher Bell won the most recent Xfinity pole (118.990 mph) at Richmond last September. The youngest Xfinity pole winner at Richmond Raceway is Kyle Busch (May 14, 2004 at 19 years, 0 months and 12 days). Harry Gant is the oldest series pole winner at Richmond Raceway (September 10, 1988 at 48 years, 8 months, 0 days). Kyle Busch holds the NASCAR Xfinity Series qualifying record at Richmond Raceway with a speed of 129.348 mph (May 14, 2004). In total the NASCAR Xfinity Series has seen 34 different drivers win the race at Richmond Raceway; led by Kevin Harvick with seven victories (2003, 2005, 2006 sweep, 2010, 2012 and 2014). Tommy Houston won the series’ first race at Richmond Raceway in 1982 and Christopher Bell won the most recent Xfinity race at Richmond last September. 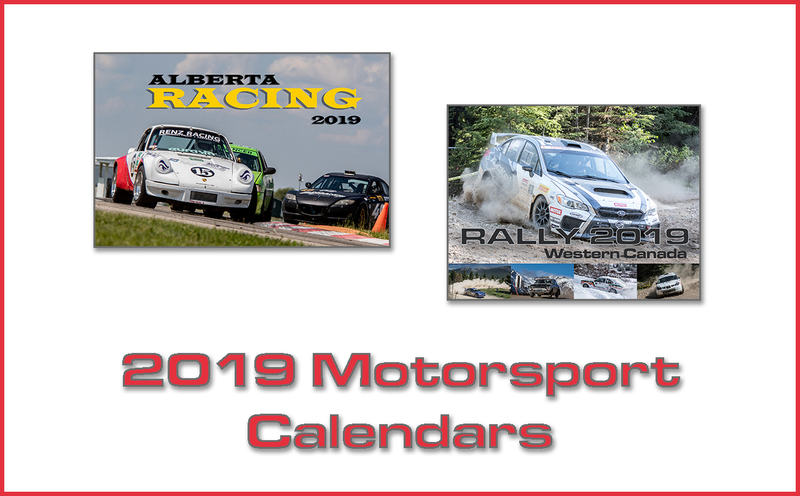 Only two former winners are entered this weekend – Jeff Green (2000) and Christopher Bell (2018). The youngest Xfinity race winner at Richmond Raceway is Kyle Busch (May 14, 2004 at 19 years, 0 months, 12 days). The oldest series winner at Richmond is Harry Gant (March 7, 1992 at 52 years, 1 month, 26 days). Denny Hamlin holds the race record in the series at Richmond Raceway with an average speed of 108.415 mph (April 29, 2011). Below are the top five NASCAR Xfinity Series championship contenders in key Loop Data categories heading into Richmond Raceway. Some just can’t get enough. At least that seems to be the case for veteran driver Elliott Sadler, who last season announced he was retiring from fulltime racing, but it didn’t take long for him to return to the series as the Virginia native is back this weekend in the No. 10 Kaulig Racing Chevrolet Camaro for the ToyotaCare 250 (April 12 at 7 p.m. ET on FS1, MRN and SiriusXM NASCAR Radio). This weekend will mark the third time this season Kaulig Racing has fielded a second car. The previous starts saw Ross Chastain (Daytona) and Austin Dillon (Las Vegas) behind the wheel of the No. 10 Kaulig Racing Chevrolet. Sadler will be working with crew chief Adam Yontz this weekend at Richmond Raceway. The 43-year old from nearby Emporia, Virginia, has made 31 series starts at the famed 0.75-mile short track, posting six top fives, 16 top 10s and an average finish of 12.9. Six drivers from the NASCAR Xfinity Series – JR Motorsport’s Tyler Reddick, Joe Gibbs Racing’s Christopher Bell, Stewart-Haas Racing’s Cole Custer and Chase Briscoe, SS Green Light Racing’s Gray Gaulding and Rick Ware Racing’s Kyle Weatherman – will be participating in this week’s media rotations at Richmond Raceway leading into this Friday night’s ToyotaCare 250 at 7 p.m. ET on FS1, MRN and SiriusXM NASCAR Radio. In 2018, he set the rookie single season Xfinity Series wins record with seven victories; the previous record of five wins was held by three drivers – Greg Biffle (2001), Kyle Busch (2004) and Carl Edwards (2005). Made the NASCAR Xfinity Series Playoffs in rookie season (2018), and advanced to the Championship 4; ultimately finishing fourth in the championship standings. Has 10 career NASCAR Xfinity Series wins in just 48 starts; including two this season (Atlanta, Bristol). He is one of only five drivers in series history to win 10 or more races in their first 48 starts; joining Darrell Waltrip (12 wins), Dale Earnhardt (11 wins), Harry Gant (10 wins) and Jack Ingram (10 wins). Currently second in the NASCAR Xfinity driver points standings, just 13 points back from the series standings leader Tyler Reddick. In seven starts this season, he has posted two poles (ISM Raceway, Texas), two wins (Atlanta, Bristol), four top fives, five top 10s and an average finish of 8.1. Won the first Dash 4 Cash $100,000 bonus of 2019 last weekend at Bristol; is qualified this weekend for the Dash 4 Cash in Richmond. Leads the series in laps led this season with 406 (30.16% of his total laps completed). Has led at least one lap in all seven races in 2019. Has made three series starts at Richmond Raceway, posting one pole, two wins (2018 sweep) and three top 10s. Has average start at Richmond of 5.7 and an average finish of 2.7. Made NASCAR Xfinity Series debut in 2018 at Atlanta. Ran 17 Xfinity races last season for Roush Fenway Racing (12) and Stewart-Haas Racing with Fred Biagi (five) and won the inaugural race at the Charlotte Road Course. Currently eighth in the NASCAR Xfinity Series driver championship standings and the leader of the Sunoco Rookie of the Year standings. In seven starts this season he has posted three top fives, five top 10s and an average finish of 7.7. Currently on a five-race streak of top-10 finishes dating back to Las Vegas; including last weekend’s fourth-place finish to qualify him for this weekend’s Dash 4 Cash. He made his series debut at Richmond last season driving for Roush Fenway Racing, starting 15th and finishing 26th. In 2018, he made the Playoff’s Championship 4; ultimately finishing runner-up in final driver standings while his No. 00 car won the owner’s title for Stewart-Haas Racing. Currently third in the NASCAR Xfinity driver points standings, 46 points back from the series standings leader Tyler Reddick and 33 points back from second-place Christopher Bell. In seven starts this season he has posted one pole (Bristol), one win (Auto Club Speedway), four top fives, five top 10s and an average finish of 9.6. Has led the fifth-most laps (105) this season. Has made five series starts at Richmond Raceway, posting one pole (this race last season), two top 10s and an average finish of 10.8. Won the 2018 NASCAR Xfinity Series championship. In 2017, he captured his first NASCAR Xfinity Series victory at Kentucky while running a partial schedule. Currently has three series career wins (Kentucky, Daytona and Homestead-Miami). Current NASCAR Xfinity driver championship standings leader, 13 points ahead of second place Christopher Bell. In seven starts this season he has posted two poles (Daytona, Auto Club), five top fives, six top 10s and an average finish of 5.6 (career-best). In three starts at Richmond he has put up one top-10 finish. His average starting position at Richmond is 16.3 and his average finish is an 11.7. Has completed 99.9% of his laps attempted. Has made 15 NASCAR Xfinity Series career starts; posting a best finish of 12th at Las Vegas earlier this season driving for SS Green Light Racing. Made five series starts in 2017 gaining experience driving for RSS Racing. Made NASCAR Xfinity Series debut in 2016 with Roush Fenway Racing – competed in two races in 2016 finishing 13th at both Bristol and Richmond. Currently 15th in the NASCAR Xfinity Series driver points standings. In seven starts this season he has two top-15 and five top-20 finishes with an average finish of 18.6. Made his series track debut at Richmond in 2016 driving for Roush Fenway Racing; he started 11th and finished 13th. Made his NASCAR Xfinity Series debut last weekend at Bristol Motor Speedway driving for Rick Ware Racing. Made his NASCAR Xfinity Series debut at Bristol Motor Speedway last weekend; where he started 24th and finished 28th. This weekend will be Kyle Weatherman’s NASCAR national series track debut at Richmond Raceway. Since the NASCAR Gander Trucks Series began racing at Dover International Speedway in 2000, only one driver has managed to win at the Monster Mile and go on to win the series championship – NASCAR Hall of Famer Ron Hornaday Jr. in 2007. Looking back, Hornaday had an excellent season that year that included four wins, 13 top-five and 22 top-10 finishes. Stewart Friesen (No. 52 Halmar Friesen Chevrolet Silverado): Friesen currently holds the series points lead, but Dover may prove to be a challenge for the Canadian driver to hold that position. In two starts at Dover he has posted two DNFs – a 28th in 2017 and a 23rd in 2018. Still, we can’t ignore his solid performance this season, where he has managed three top fives, four top 10s and an average finish of 7.8. Grant Enfinger (No. 98 ThorSport Racing Ford F-150): Enfinger currently sits second in the NASCAR Gander Outdoors Truck Series points, six points back from Friesen after posting three top fives, four top 10s and an average finish of 5.4. Heading to Dover in a few weeks, the Alabama native has had mixed results on the concrete track. He fought hard for a disappointing 14th-place finish last year but managed a third-place finish back in 2017. This season is Enfinger’s third fulltime season chasing a title the Gander Trucks. Ben Rhodes (No. 99 ThorSport Racing Ford F-150): Rhodes is off to an excellent start this season, as the 22-year old has jumped three spots in the driver championship points from sixth to third and only 16 points back from the series standings lead. This season Rhodes has put up two top fives, three top 10s and average finish of 11.2. Rhodes could use Dover as another spring board to catch points leaders Friesen and Enfinger (second), as the Kentucky native has made four series starts at the Monster Mile grabbing one top five and two top 10s. Plus, he has led 71 laps at 1-mile facility. Johnny Sauter (No. 13 ThorSport Ford F-150): Sauter arguably has the greatest chance at matching Ron Hornaday Jr.’s 2007 achievement, not only is he a former NASCAR Gander Outdoors Series champion, he has also won the last two series races at Dover International Speedway (2017, 2018). Sauter is currently cruising in fourth in the Gander Truck point standings, 22 points back from series standings leader Stewart Friesen. In total the 40-year old veteran, Sauter, has made 10 series starts at Dover posting two wins, five top fives and seven top 10s. His average starting position is 7.8 and his average finish is 8.0. With five races in the books this season, the battle in the points along the Playoff cutoff is heating up between Kyle Busch Motorsports teammates. Just one-point separates Todd Gilliland in the coveted eighth place cutoff, and rookie Harrison Burton in ninth the first spot outside the cutoff for the postseason. Both young drivers have rebounded from DNFs in the season-opener at Daytona to put themselves in Playoff contention. Gilliland has posted two top 10s and an average finish of 12.8 this season, and Burton has posted one top five, two top 10s and an average finish of 14.6. Dover is a track both Gilliland and Burton have shown promise at recently. Gilliland has made two starts at the Monster Mile posting one top-10 finish and Burton also has two starts at Dover with one top-five finish.